Electronics Costs > How Much Does a MacBook Cost? How Much Does a MacBook Cost? 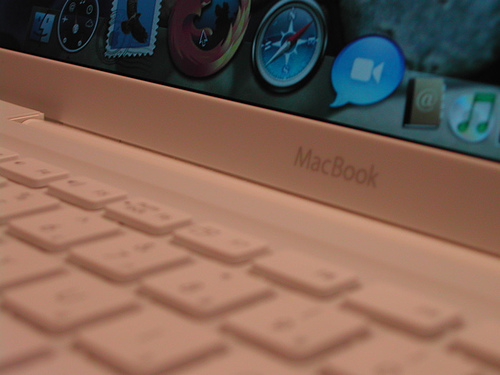 The Macbook is one of Apple’s most popular products when it comes to the world of laptops. What sets this above the rest are features such as a long-lasting battery, a multi-touch trackpad (on some models) and its size. Since there are a few models out there, let’s take a look at what each one is more than likely going to cost you. The cost of a MacBook will depend on the model you choose, if you want to add any upgrades, such as more hard drive space, and the retailer you purchase it from. Most new models can start as little as $999 as cost as much as $2,000+. Every Mac purchase with Apple will come with a one-year limited warranty and 90 days of complimentary telephone technical support. Newer MacBooks will either have a 13 or 15-inch LED-backlit Retina display. Battery life is about nine to 10 hours, depending on usage. As of 2016, all hard drives can have storage capacity up to 1TB SSD. Depending on the model, it can weigh either 3 or 4.49 pounds. It uses a Force Touch trackpad, which is designed to deliver a responsive, uniform click from anywhere on the trackpad. Users are able to customize the sensitivity, and it can also tell which finger one is clicking with. As noted above, all purchases will come with a one-year warranty; however, if you want to extend your warranty, you can do with the AppleCare Protection Plan. Most MacBooks will need a charger so you can charge it at home. While most of them come with one, you will find that you may want another one for the home or office. You may also want to consider one for your car. These run around $30 to $80, depending on the brand. Official chargers made by Apple will cost more than a third-party brand. Most software on the system is generally bare bones. Some users prefer to upgrade their operation system or even add other software packages such as Office, iWork and Photoshop. Screen sizes are going to vary with the MacBook. Be sure to know what kind of size you’re going to want. Sizes can start at 13.3″ and go up from there. Bigger screens will generally cost more. Newer models use the finger tap type technology. If you want to use your finger on the screen, consider spending a few more dollars for this type of technology. Be sure to look into the other features such as hard drive capacity and RAM. Highly consider purchasing your MacBook used on sites such as eBay. By doing so, you should be able to save 20-30% off the price. Inquire with Apple about a student discount. If you’re going to high school or college, they have a program you can join. Consider alternative brands outside of Apple as the Apple brand tends to be one of the most expensive brands when it comes to laptops. Other brands, such as the Chromebook, can be as little as $200. Consider purchasing extended warranties through Apple Care or even through third-party warranty companies to protect your investment for years to come. Most stores will have a limited time offer or sale from time to time.